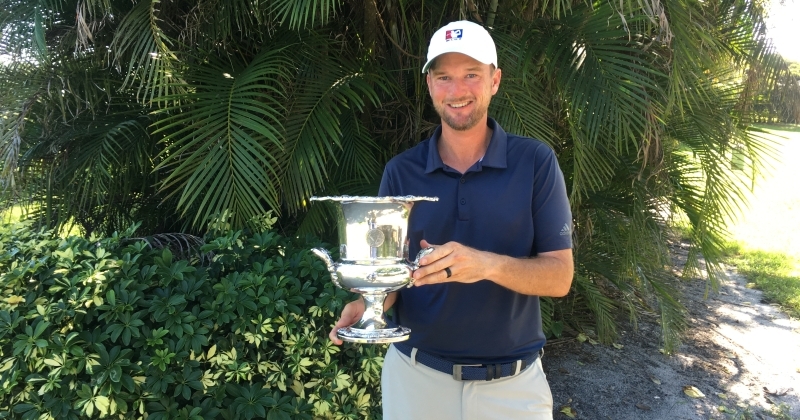 DELRAY BEACH, Fla. - MLGT Tournament Director, Scott Turner, won the 2018 Florida State Golf Association Mid-Am Championship this past weekend at Seagate Country Club. His 12-under par total of 204 (69-68-67) was good for a 6 shot win over the field of 133 players. 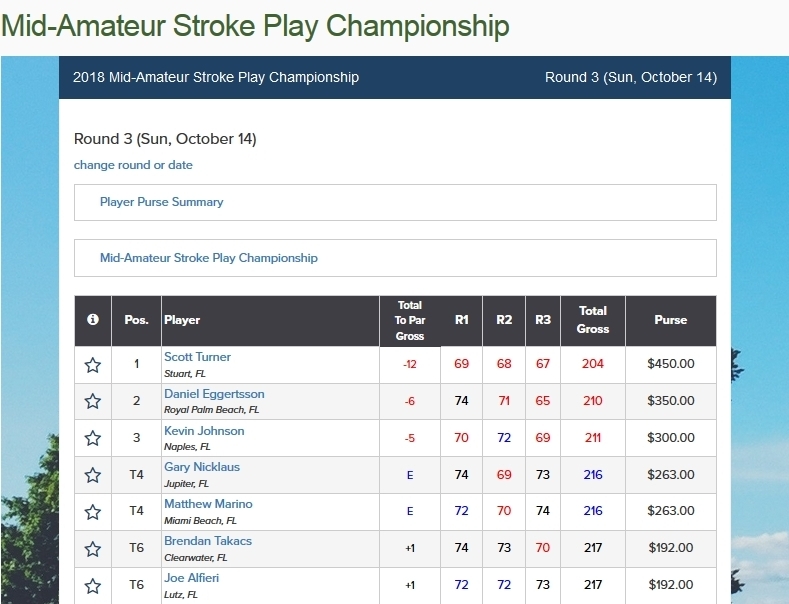 Turner turned professional after college and pursued professional golf until he was 29 when he decided to go a different route. He has been the Tournament Director for the MLGT since September 2014. He was reinstated as an amateur in August of 2016 and competes when his schedule allows. Congratulations Scott on the win!